TRUTH UNDER FIRE . 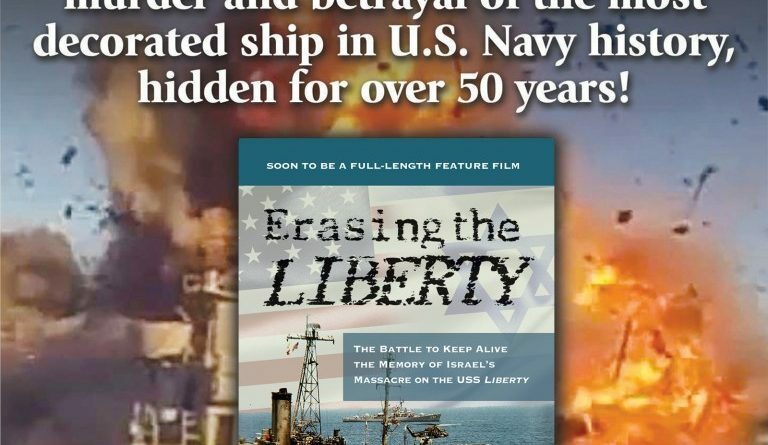 . .
REGRETTABLY, THE MANAGEMENT OF HOTEL CONTESSA IN SAN ANTONIO, TEXAS, WHERE THIS CONFERENCE WAS SLATED UNDER CONTRACT TO TAKE PLACE SEPT. 8TH, ABRUPTLY WITHDREW THE USE OF THEIR FACILITIES TO PUT ON THIS DAY-LONG CONFERENCE ON THE STORY OF THE U.S.S. LIBERTY, AMONG OTHER HOT TOPICS. BEYOND CITING AN OBSCURE CONTRACT CLAUSE THAT EVIDENTLY ENABLES THE HOTEL TO CANCEL EVENTS UNDER ITS ROOF AT ITS DISCRETION, THE CANCELLATION LETTER FROM THE HOTEL’S MANAGEMENT DID NOT SPECIFY WHY THEY PULLED OUT OF HOSTING THE EVENT, NOR WHY THEY WAITED UNTIL THREE WEEKS BEFORE THE CONFERENCE TO ISSUE THE LETTER. WE WILL NOT BE SILENCED. BUT WE DO NEED YOUR SUPPORT. HERE IS HOW TO SHOW IT !! THOSE WHO HAVE PURCHASED, OR WANT TO PURCHASE, THE INEXPENSIVE ($10) PAY-TO-VIEW OPTION WON’T BE AFFECTED. SO, PLEASE USE THIS OPTION. BECAUSE IN-PERSON TICKETS HAVE SOLD OUT, WE ARE FOCUSING ONLY ON THE PAY-TO-VIEW OPTION. THIS IS AN IDEAL WAY TO SEE SEPARATE VIDEOS OF ALL THE SPEAKERS FROM ANYWHERE IN THE WORLD (IN REAL-TIME AND AFTERWARDS FOR AN EXTENDED PERIOD OF AVAILABILITY). Please click here on any part of this blue text for info. 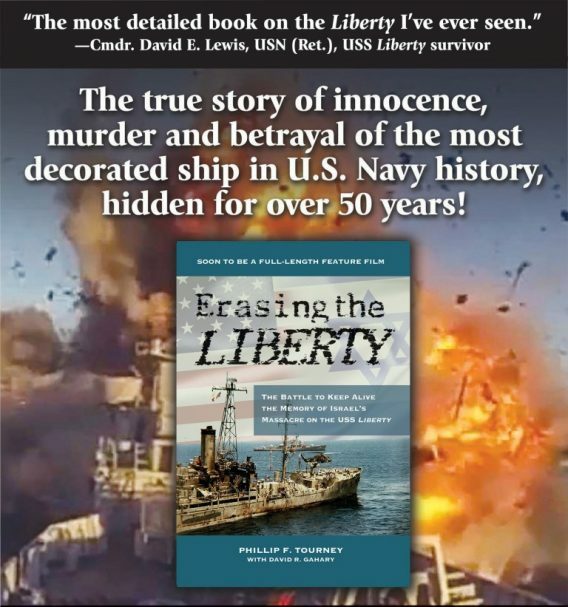 1) ‘ERASING THE LIBERTY,’ a critically important movie that’s in the works about the shocking coverup regarding what happened to the USS Liberty naval vessel and her crew in June of 1967 . . .